Here is our guide on JCB Driving in the UK. You must have driven a car, bike/scooter and may be some other four wheelers, but, have you ever driven a JCB? If not, you can get it here. JCB Driving is a fantastic experience that will have you appreciating these awesome earth movers. 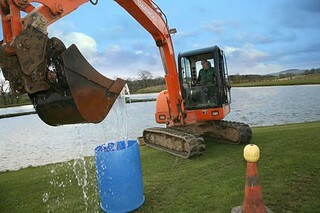 The experiences start with a safety instruction on how to control your JCB followed by some brilliant action. As you start learning, be ready to face plenty of challenges on the way. Once you get a start and fascinated by the powerful machines then, our options allow you to get in the drivers seat and start digging! With an expert instructor at your side, you will learn how to control these massive giants and get stuck into the ground. This is the perfect gift for someone who loves driving and want to try something a bit different. Check our list of locations and map to choose yours. Call us for help and advice.